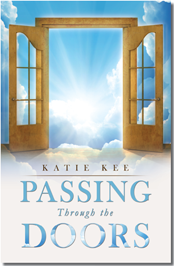 A collection of inspirational stories and poems drawn from Katie's interaction with her family and friends. These thought-provoking incidents will help you view your own relationships in a new way. For availability date, contact Katie by email. 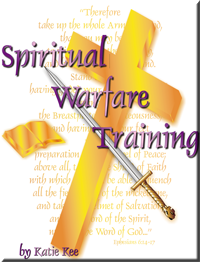 This 153 page manual covers four Spiritual Warfare Teachings in depth, plus provides additional resources, such as teachings, stories, over a 1,000 Scripture Index, and 40 sample prayers for specific situations. The book is full of helpful insights and draws heavily on scripture for the basis of each teaching. 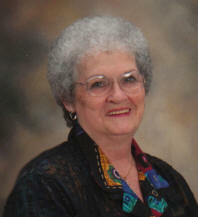 Additional suggested scripture references are included throughout. 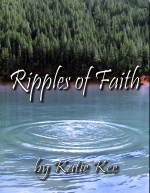 Katie’s personal testimony is also included, which has been a source of encouragement and inspiration to all who have heard or read it. This book is available through Amazon, and Barnes & Noble. Based on a selection of incidents in her life, Passing Through the Doors is a gold mine of encouragement, inspiration and practical insight. It addresses a host of topics, from recovery of past wounds and failure to insights on grace, stability and integrity. As you read them, you’ll laugh; you’ll cry; you’ll search your soul; you’ll repent; you’ll pray; you’ll grow—and above all, you’ll thank God for His matchless love as demonstrated in Katie’s life and words.